Sennheiser e835 vs e935: Want to Know Which is the Best Vocal Mic? Germans have a reputation for producing some of the finest, rugged and durable microphones and the Sennheiser e835 and the e935 stands up to the reputation perfectly. These directional cardioid dynamic microphones have been one of the best in the business and have maintained the benchmark for Sennheiser. Today we are going to find out which one of them outperforms the other when put up against each other – the Sennheiser e835 or the e935? Look at the specifications of these two microphones in the below table. 1 Sennheiser e835 vs e935: Here is our winner! Sennheiser e835 vs e935: Here is our winner! In layman's terms, there isn't much to distinguish between the Sennheiser e835 and the Sennheiser e935 in terms of design and build quality. To start with the basics, both the Sennheiser e835 and the Sennheiser e935 are dynamic microphones with a cardioid polar pattern and are extremely directional, making them perfect microphones for vocals but also records various instruments pretty neatly as well. The thin diaphragm and magnetic coil mechanism featured in both the Sennheiser e835 and the Sennheiser e935 is highly energy efficient and thus it doesn't require an additional phantom power connection like the condenser microphones. They need a standard XLR cable to be connected to the interfaces or other compatible devices. Furthermore, both the Sennheiser e835 and the Sennheiser e935 exceptionally reduce the electromagnetic interference, thanks to the humbucking coil. Also, both of them reduce the noise created from handling as they feature a shock mount system. Both the Sennheiser e835 and the Sennheiser e935 have a high-quality exterior metal body with a warranty of up to 10 years. That speaks a lot about the kind of material Sennheiser uses. By the way, it is designed in such a way that it can handle the roughest of environments and ensures low maintenance that's really a relief for musicians with a packed schedule. The only noticeable difference between them is that the Sennheiser e835 is a bit bigger in size than the Sennheiser e935. The Sennheiser e835 is also lighter than the Sennheiser e935. The reason behind the added weight of the Sennheiser e935 is its enhanced reinforcement in comparison to the Sennheiser e835. In addition to that, the Sennheiser e935 houses a Neodymium ferrous magnet that contributes significantly towards microphone stability irrespective of the climatic conditions. Seems like the Sennheiser e935 already has an edge over the Sennheiser e835. As we proceed towards the most vital segment, things start getting a decisive look. But before getting into the differences, let's focus on the similarities first. Being cardioid microphones, both the Sennheiser e835 and the Sennheiser e935 have a tendency to isolate the stage sound and minimize the unwanted noises. Both the Sennheiser e835 and the Sennheiser e935 are capable of handling high sound pressure levels, so you don't have to worry about your sound getting distorted. They also reject feedback effectively. What will really interest you about both the Sennheiser e835 and the Sennheiser e935 is their ability to produce a great sounding natural audio quality. They capture the lows, mids and highs accurately. The first noticeable difference between the Sennheiser e835 and the Sennheiser e935 is that on loud stages, the Sennheiser e835 is liable to produce a constant feedback while making the midrange sound very harsh and it doesn't sound as good as the Sennheiser e935. The Sennheiser e935 has a sense of airiness to its audio quality. It sounds much warmer and brighter and puts emphasis on the minute details which enhance the clarity of an audio signal. The low end on both the microphones is incredibly balanced and handles speech very well. In terms of the midrange, the Sennheiser e935 performs better than the Sennheiser e835 by adding more clarity to the vocals and other acoustic instruments. Moreover, the Sennheiser e935 has a slightly increased sensitivity than the Sennheiser e835 which helps it to capture the subtle details. It may not be that noticeable to the common ears but it does wonders during recordings. The Sennheiser e835 suffers from these setbacks being a budget microphone and the slightly costly Sennheiser e935 swoops right ahead of it and takes the spotlight when it comes to audio quality. That being said, when we look at usability, the Sennheiser e835 is preferably used for live performances but you can also record vocals, guitars and even drums with it. 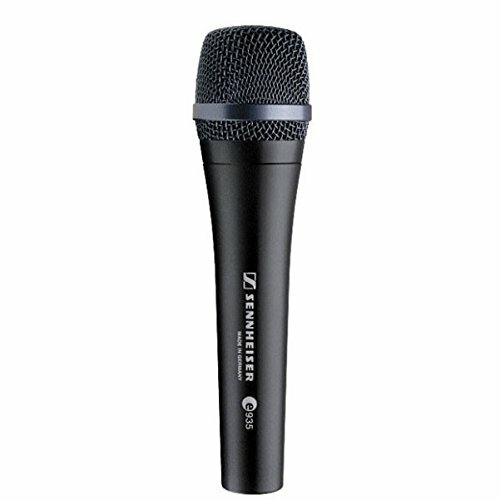 Meanwhile, the Sennheiser e935 is towards the more versatile end in terms of practicality as it can work for everybody, in any place including karaoke, small parties, jazz clubs, moderately loud stages and of course, for recording purposes as well. 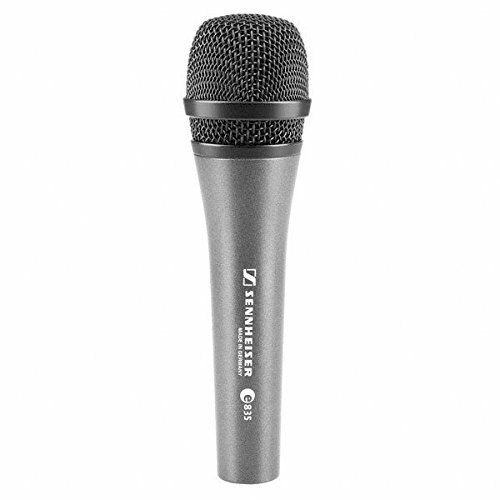 So if you are a lead singer and you are looking for a dependable microphone, the Sennheiser e935 is what you need. So we have come to the conclusion of the battle between the Sennheiser brothers – e835 and e935 and it's time to declare the winner. It is rightly said that looks can sometimes be deceiving and it applies quite well in this scenario. Looking at the Sennheiser e835 and the Sennheiser e935 we couldn't make a difference but when we dug into the analytics, the winner wasn't hard to decipher. Being a fairly affordable budget microphone,the Sennheiser e835 does brilliantly well and is a great microphone on its own. But when it's compared to the Sennheiser e935, we find the differences in sound, which is all that matters, to be honest. The Sennheiser e935 has accurate detailing, warmth, brightness, and airiness in its audio quality which enhances any sound tremendously. Besides that, it's highly versatile and an all in one microphone. On the other hand, we have the Sennheiser e835 which suffers from a constant stage feedback, picks up the stage noises and also compromises with its sound, making the upper midrange sound harsh and lacks detailing. So if you want to choose between the Sennheiser e835 and the Sennheiser e935, we would recommend the slightly pricey yet affordable Sennheiser e935. And to put an end to this debate, we declare the Sennheiser e935 as a clear winner.